Brittany spent four summers as a TPE camper in the Middle School and High School Ensembles and in Traveling Troupe, and she couldn’t be more excited to return for her first year on staff. Outside of TPE, she has acted, directed, and done technical work in her high school theatre programs for the past four years. 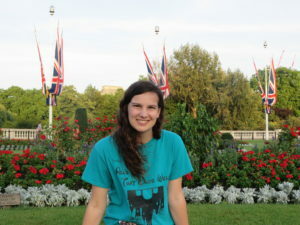 For the past two summers, Brittany was the drama counselor at Camp Rodef Shalom in Falls Church, VA. Besides theatre, she plays rugby for her college team, is a member of a dance troupe, copy-edits for a student magazine, and is an avid reader. She is currently studying English at Tufts University in Medford, MA.